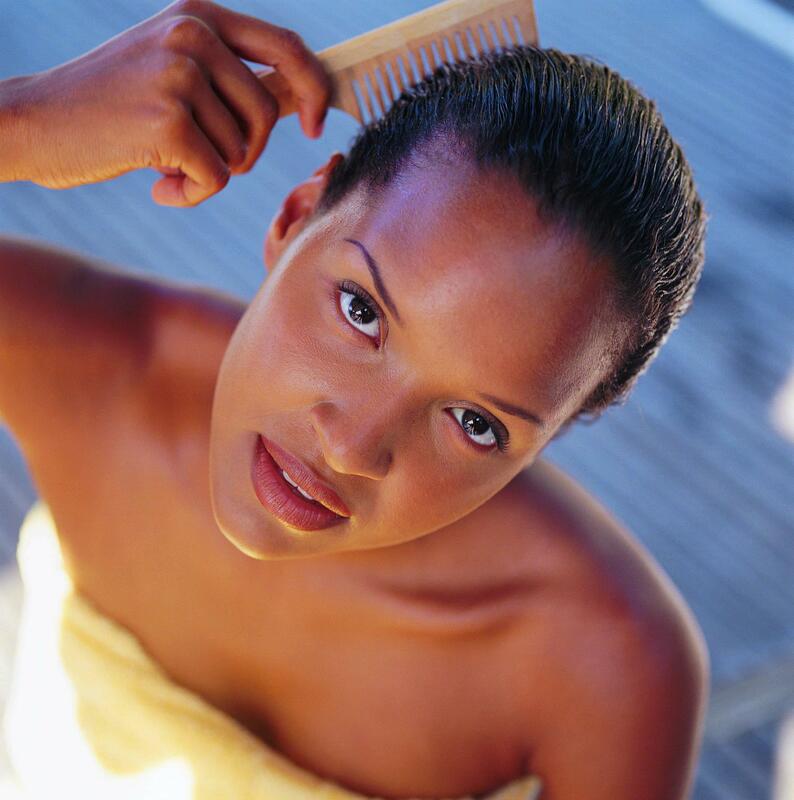 Using conditioner might be the best cleansing method for you. The “conditioner only” method is one of my favorite natural hair journey styling techniques. Sometimes it can be confused with the Curly Girl Method (CG Method), because both methods are very similar, but there is a difference. The Curly Girl Method focuses on avoiding silicones in hair products, and avoiding the use of hair styling tools, such as combs or brushes. Finger detangling is ideal with the CG Method. For the conditioner only method, all you need is a moisturizing conditioner of your choice. You can still use your styling tools (combs or brushes) to style your hair. The conditioner does not have to be silicone-free when you are following the conditioner only method. I ran across the conditioner only method in 2009 when I was still trying to figure out how I could maintain my short natural hair. I remember trying hair gel, styling mousse, serums, etc. and my hair always appeared dull and dry. I used to read message boards a lot in the early stages of my journey and I remember coming across a thread regarding the conditioner only method. Basically, this method consists of using conditioner as your styler. Now, I am not talking about your typical leave-in conditioner. I mean a regular conditioner also known as a rinse-out conditioner. Yes, I know it may sound crazy, but the theory behind this method is, the thickness of your regular conditioner will define your curls and allow you to have soft moisturized hair. That was a win-win for me. After reading the success stories of this technique I decided to give it a try. I was immediately amazed at my results. My curls were defined, soft and they also had a nice shine to them! The very first night I did have thoughts about my hair falling out since I left the conditioner in my hair, but the next morning I realized that my hair was fine and it also felt much stronger. I couldn’t believe it! To this day, I will occasionally style my hair using conditioner only. I have learned that using conditioner, as a styler, is great for the health of my hair, and I have saved more money; I’m only using one hair product. It also helped with detangling my hair on wash day. It was a great starter for me and I absolutely love it.